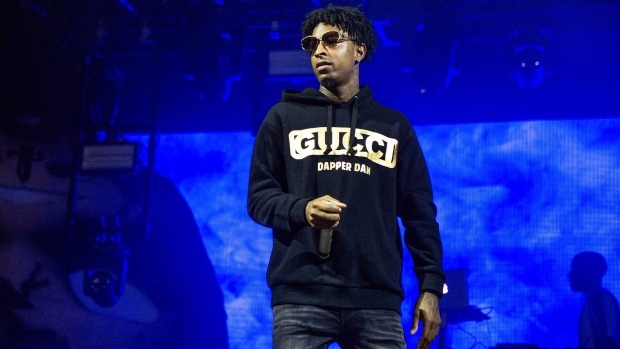 ATLANTA - Authorities in Atlanta say Grammy-nominated rapper 21 Savage is in federal immigration custody. U.S. Immigration and Customs Enforcement spokesman Bryan Cox says the artist, whose given name is Sha Yaa Bin Abraham-Joseph, was arrested in a targeted operation early Sunday in the Atlanta area. Cox says Abraham-Joseph is a British citizen who entered the U.S. legally in July 2005 but overstayed his visa, which expired in July 2006. Cox said Abraham-Joseph was convicted on felony drug charges in Georgia in October 2014. Cox says Abraham-Joseph has been placed in deportation proceedings in federal immigration court. Abraham-Joseph is nominated for two awards at next week's Grammys, including record of the year for “Rockstar” alongside Post Malone. A representative for Abraham-Joseph did not respond to an email seeking comment.